No longer is the right to rock something reserved for Xbox 360 owners – as of the 24th April, Wii owners will be able to get their hands on the Rock Band 2 kit, and on the 27th March, PS3 and PS2ers will be able to do the same. 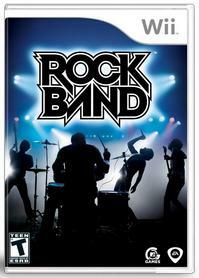 For the Wii, the game alone will cost £39.99, or you can get the game and the instruments for £110. You can also pick up instruments from £40 to £50 individually. Pricing is yet to be released for the Playstation, but it’s likely to be roughly, if not exactly, the same.